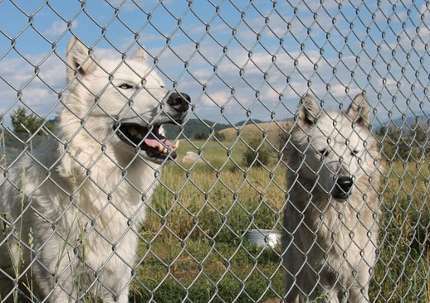 Although the increasing number of fences and walls along national boundaries is intended to prevent human migration, these can also have disastrous consequences for the natural spread of large animals. These constructions could rapidly destroy decades of international collaboration to facilitate the spread of European brown bears, lynxes and wolves, for example. This is the argument that lawyer Arie Trouwborst presents in the article entitled 'RECIEL: Review of European, Comparative & International Environmental Law'. The author and his research group are working at Tilburg University with the support of a Vidi grant from the NWO Talent Scheme. The presence of fences between the United States and Mexico and between North and South Korea is public knowledge, but there are now also thousands of kilometres of fences along other borders, such as those between Malaysia and Thailand, India and Pakistan, Iran and Iraq, China and Mongolia, Botswana and Zimbabwe, et cetera. The hastily constructed obstacles along the internal and external borders of the EU intended to stem the flow of refugees can also be added to this list. A recent estimate calculated the total length of fences in Europe and Asia alone (excluding the Middle East) to be about 30,000 kilometres.